In this audio newsletter I speak with Akrura Prabhu about faultfinding, specifically the subtle reasons that cause us to belittle others. Srila Prabhupada said that if we chant our rounds and follow the regulative principles, we will go back to Godhead in this life time. However, he made a disclaimer by saying that we won’t get this result if we offend the devotees. Offending devotees can nullify the good we do in Krsna consciousness. It therefore is essential to understand why we become critical of other devotees so we can work to remove these subtle causes of criticism. 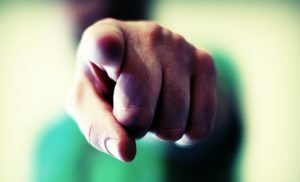 The irony of criticism is that even if a person has done something wrong, the tendency for us to want to criticize demonstrates an impurity on our part. Srila Bhaktisiddhanta Saraswati Thakur said that until we begin to look at our own faults, we will not stop looking at the faults of others. This audio newsletter shows how faultfinding is related to a lack of humility. It also elaborates on the enormous benefits of being open to look at our own faults. The following are the main points found in the audio discussion. Our false ego prevents us from looking at our own faults. It makes it difficult for us to acknowledge our faults and therefore, instead of being introspective, we see those faults in others. Srila Bhaktisiddhanta Saraswati Thakur said, “Because I am myself honeycombed with faults, I see the faults of others”. In the realm of psychology it is said that if something about someone really bothers you, it’s usually because you have that fault. Of course, we usually don’t accept or acknowledge this. This is a powerful way to understand ourselves better. Advanced vaisnavas acknowledge their dark side, or faults, whereas demons tend to overlook or minimize their own faults. Humility means reality, the reality of our own lacks and failings. Pride blinds us to this. The more a devotee advances, the more he feels unqualified to serve Krsna. He never becomes proud of his achievements. How can I not see faults? Suppression takes vital energy away from you. Faultfinding can be somewhat innocent, like when you are simply disturbed by what someone does and make a comment about it. But it can also be the result of envy or jealousy, as when we are jealous of the success of another and want to bring that person down by belittling him. This can happen when we cannot tolerate the success of another person we dislike. If I find a fault with you, and it helps me avoid dealing my own faults, then I get some perverted pleasure. But even though I don’t admit my faults, they still affect me. Often time we must put out tremendous energy to ignore them or to camouflage them from others. If someone is pointing out a fault in you, they are giving you a valuable jewel. If you do not accept feedback with a positive outlook, you are throwing away this gem. Someone who criticizes you is actually your friend and someone who praises you is your enemy. It is the duty of a guru to make you aware of your faults. Even a devotee is wrongly accused; he accepts it as Krsna’s arrangement in his life. Also, when we are sympathetic to the accuser, it takes a lot of the negativity away from the situation. If we are humble, it touches the heart of the other person and their attitude will change. Whatever difficulties we encounter, at least we should not abandon our vaisnava behavior and qualities.